The Certificate of Attainment provides evidence of knowledge competency defined by Exemplar Global for certification as a Environmental Management Systems Lead Auditor. 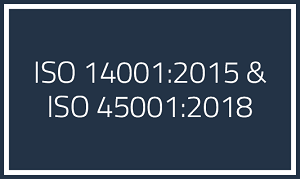 A prior review of the ISO 14001:2015 and ISO 45001:2018 standards and internal audit experience is suggested for this course. Note: The instructor might use 15 minutes to acclimate a student taking EM course only. – This course is intensive. It covers all the topics seen on the above schedule. – Evaluations must be successfully completed on various topics by the student (much like a test or examination). – Some of the evaluations are completed as homework. Please expect an average of 1-3 hours of additional work in the evening after the conclusion of the class day. – Evaluation time is variable for each student. The course end time may vary as a result. – The determination of student competency is not subjective. Instructors are provided with specific measurable and objective guidelines and criteria to determine student competency. The instructor will review those guidelines with you prior to each exercise. – Students who do not demonstrate competency in one or more exercises within a module (EM, OH, AU, or TL) will be given two (2) additional attempts during the course with assistance from the instructor. If the student does not demonstrate competency after these additional attempts, the instructor will notify the student of this status at that time.- Certificates of Completion are provided to those students who pass one or more of the modules of training (EM, OH, AU, and/or TL). You may be notified prior to leaving the course which modules you successfully completed if they are turned in on a timely basis throughout the course. – A student who does not complete a module may make arrangements with the instructor and Pillar after the course has concluded to work on achieving competency. This time should not exceed five (5) days.